Something in the back of my mind says it was from a Rootes Group Singer Vogue. 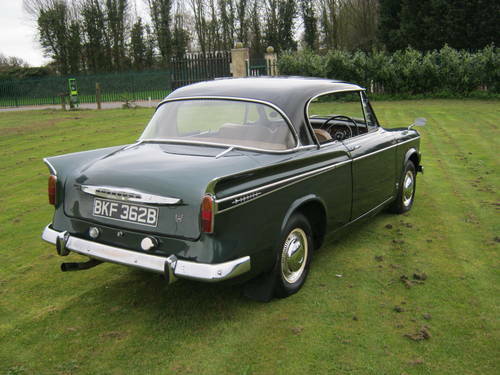 Sunbeam Rapier -- like hens teeth. Dave yes as Tony's picture shows, with my car I managed to get the old top off and had it bonded on a Monza cap, so it still looks like the original. John, the picture I posted above is one of the caps from my car, it is damaged but I think I can repair it. The spring clip that holds it shut has broken. Perhaps you could PM me if you don't want to put the price on the forum. I do remember seeing it included in the Spares list some time ago and I assumed it had sold as it is not in the current list. Filler cap for sale on ebay.